Empowering women in developing countries. 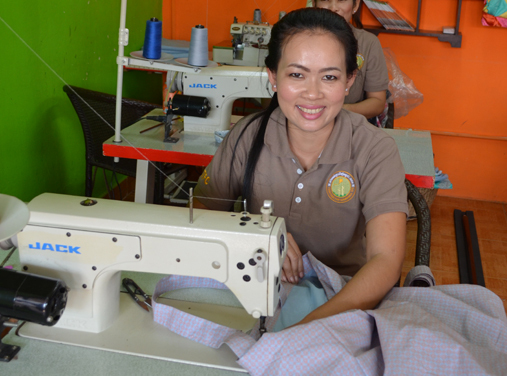 Since 2006, Spotlight has been involved in the Stitch in Time program, which empowers women in developing countries and disadvantaged areas by teaching them how to sew. The women are then able to earn an income to become self-sufficient. Our generous customers support Stitch in Time’s success by purchasing products created by women in the program, including bags. The program now includes key partnerships in Vietnam, Cambodia and the Northern Territory, as well as numerous community organisations around Australia. Read more about The Stitch in Time program. Spotlight proudly supports the Guardian Angel Knitting Program by providing participants with knitting patterns and store discounts. The Guardian Angel Knitting Program, run by Guardian Pharmacy, encourages participants to use Spotlight’s free patterns to create hand knitted and crocheted items such as beanies and scarves. Participants then drop their items back to their local pharmacy, which distributes them to children and families in need – keeping them warm through sickness or through the winter. Over the past 18 years, the program has assisted more than two million people. Read more about the Guardian Angel Knitting Program.